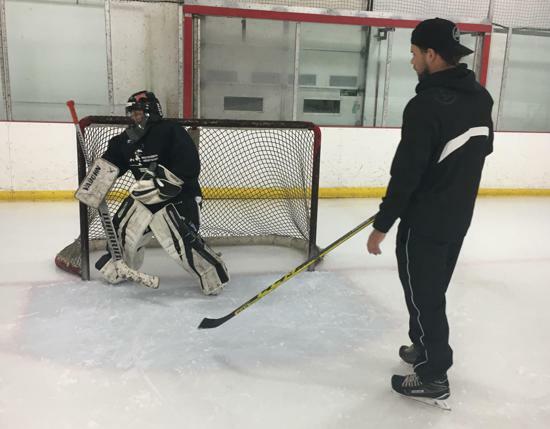 Warda Hockey Academy camps, lessons, and training methods focus on enhancing skill development in every aspect of the game through a very DETAILED ORIENTED STYLE of coaching. WHA is proud to provide the highest level of coaches/mentors for our players as each staff member is a current professional coach or player. Our staff is relentless when it comes to teaching our players what it takes to succeed and become the best they can be. 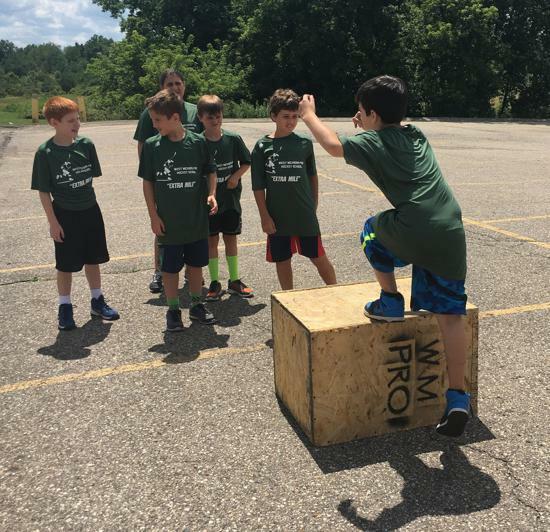 "The WHA Way" teaches the importance of ATTENTION TO DETAIL and preparation with the goal of maximizing improvement. We constantly preach the importance of hard work, focus, and dedication to best prepare our players for the season! 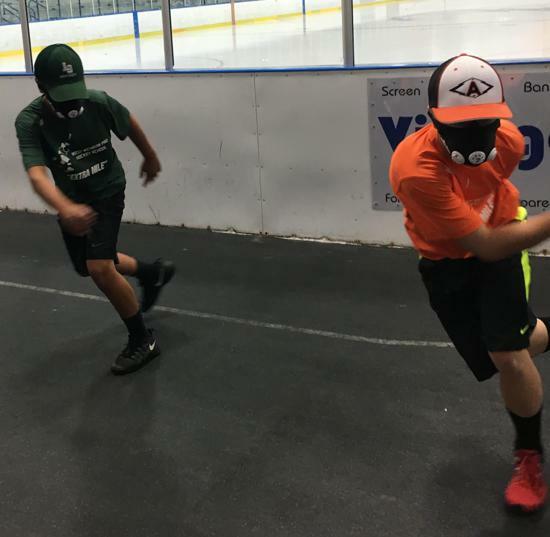 Players at Warda Hockey Academy will be introduced to the same workouts and hockey specific training as college and professional players. Every single exercise and training plan will be tailored towards each player's individual age & experience. 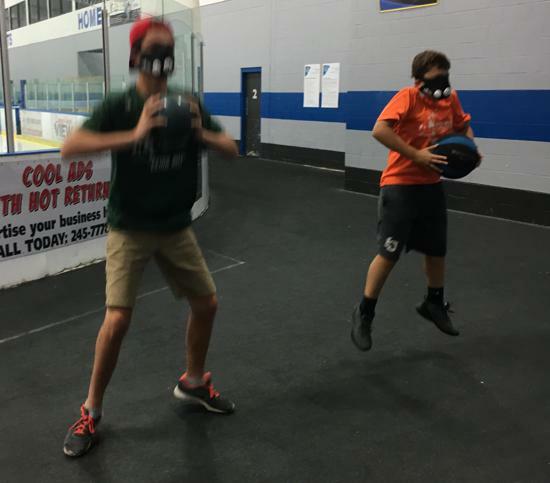 WHA is proud to provide our players with the best training equipment possible including parachutes, bungi-chords, kettle bells, box hops, hurdles, agility courses, and the elevation Training Mask (must be at least 13 to wear Mask). Each week we will be posting a highlight clip with teaching points right here on the Home Page below. 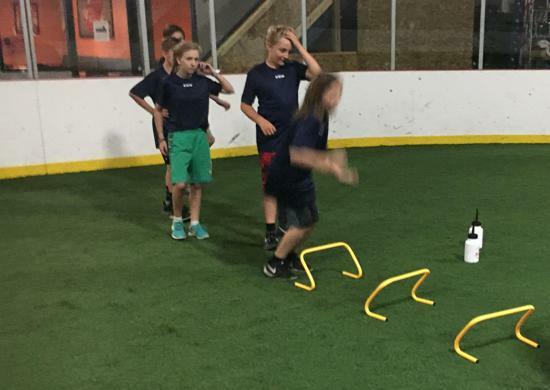 We want to make sure our players from camp are continuing to learn and improve their Hockey IQ during the season! Watching video regularly and learning from different game-like situations is key to advancing our player's overall development. Each clip includes direct coaching tips we praise to our players everyday at camp. Be sure to tune in each week and let's get better everyday! Video #4 - "The Perfect Hockey Goal"
This Stanley Cup winning goal by Alec Martinez of the LA Kings exemplifies "The Perfect Hockey Goal." First watch the video in its entirety and then break down each section of the video through the notes below. 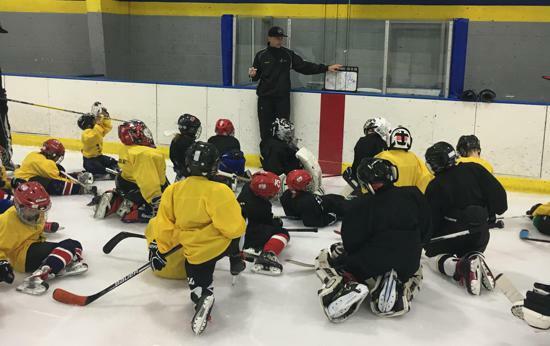 WHA Owner and Head Instructor Ben Warda has adopted this philosophy of WORK ZONE-SPEED ZONE-CREATIVE ZONE as a focus point to the Nashville Jr. Predators overall game plan and its shown incredible results so far this season. This video shows how a pivotal goal is created by following this philosophy. 1. THE WORK ZONE (D-ZONE): Here its all about winning your 1on1 battles and out competing your opponent. In the video the D-man first won is 1on1 battle, got control of the puck, and got it up to the open man to be able to start a CLEAN RUSH. The puck wasn’t just thrown off the glass and out, he got his head up and made a clean play to advance the puck out of the zone. Players at all levels can learn from this as we need to start teaching defensemen to not just throw the puck out of our d-zone but to look and make a play and keep possession of the puck. 2. SPEED ZONE ( NEUTRAL ZONE): Look how much speed the puck carrier gains in the neutral zone. Today's game is played at such high speeds there's no time to let up and coast through the neutral zone. His head is up, and the other 2 players join the rush WITH SPEED. If they're slow here the play never develops and the puck never enters the offensive zone with possession. The thought process through the neutral zone needs to be "fast feet, calm mind." 3. CREATIVE ZONE (OFFENSIVE ZONE): Once players cross the offensive blue line WE MUST BE creative & think the game at a high level. Here, the driving forward with the puck has his head up reading what the defense gives him. In this situation its all about reads, no set plays, adapt to the situation and make the CORRECT PLAY. The middle player receives puck and immediately looks to make a play and kicks it outside to the wide winger. Again, his head is up instantly and reading the play looking at what’s available. He decides to shoot, but notice how smart the shot is, IT HAS A PURPOSE. He finds a lane and goes far pad KNOWING MARTINEZ IS THERE ON THE FAR SIDE. Martinez shows great heads up hockey, STICK ON THE ICE AND FINISHES THE REBOUND. Huge teaching point here as he doesn't just fly by the net or curl off like 99% of players do. 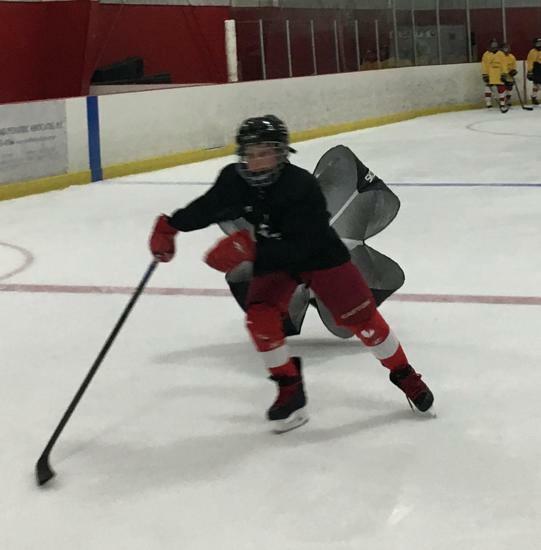 This habit of STOPPING IN FRONT OF THE NET with your stick down must be preached and practiced relentlessly if you want to create more offense and score big goals! WHA is proud to have a direct tie with the Nashville Jr. 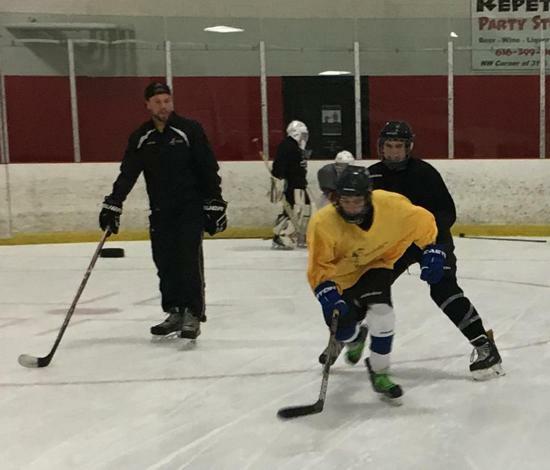 Predators AAA program at all levels as owner & head instructor Ben Warda is currently the Head Coach of the U16AAA and U13AAA teams. Players at our camps will see what it takes to reach the highest level of youth hockey and have the chance to be seen from one of the best up and coming AAA programs in the country. The Jr. Preds play in one of the best, and most highly scouted leagues in the country: The NAPHL. Be sure to check out both the Jr. Preds program and the NAPHL websites by clicking the images below. ©2019 Warda Hockey Academy / SportsEngine. All Rights Reserved.